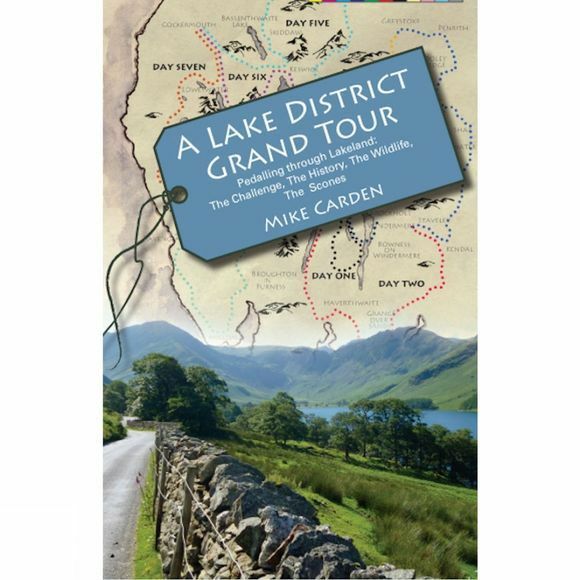 After his warm, well observed, unpretentious and very funny books relating his cycle rides the length of England and of Scotland, Mike Carden has turned his attention to his back yard: The Lake District. He visits all the lakes of Lakeland, pokes into its most distant corners, and cycles over every mountain pass (well, he attempts to). Along the way he tells the story of Lakeland. He sees where poets wrote and climbers climbed, he tells of 'oond trailin' and fell-racing, and he hunts for golden eagles and elusive ring ouzels. He visits stone circles, castles and abbeys to tell the history of the people of the fells and valleys, and he conscientiously eats Cumberland Sausage, samples Cumbria's real ales and calls in at a lot of tea shops. With his twenty-year-old son alongside him on the ride (actually more often ahead of him, disappearing up a hill) and sharing his sense of humour, Mike's story of The Challenge, The History, The Wildlife and The Scones is definitely A Lake District Grand Tour.